For some, admission into an Ivy League school is fantasy or maybe evidence that we still have working imaginations and nothing more. For others, it is too expensive for a fantasy, it is better left as unattainable. The recent ‘How to get into an Ivy League School, 2018’ sponsored by the Covenant Christian Centre, the Platform Young Professionals Bootcamp, and the Platform is one conversation that has been initiated at the right time (the “Ivy League Admission Conversation”). It took place on the 28th day of April 2018 at the Covenant Christian Centre, Yaba. Admission into an Ivy League school is attainable for anybody who meets the requirements. The Ivy League Admission Conversation targeted mainly prospective MBA candidates, but there were also some tips that are also applicable to other Masters degrees. Interestingly, one young lady in the hall had identified herself as preparing towards undergraduate studies in an Ivy League school. I am not certain the admission process for the undergraduate and the post graduate are the same – so maybe the title was a bit misleading to that extent. There were three speakers – Soromfe Uzoma (Soromfe), Uzoma Ikechukwu (Uzoma) and Misan Rewane (Misan). Soromfe had attended INSEAD – Institut Europeen d’Administration des Affaires (European Institute of Business Administration) for its Executive MBA programme. Uzoma was offered admissions into Harvard and Stanford Business Schools for the forthcoming 2018/2019 sessions, while Misan had both her undergraduate and MBA degrees at Stanford and Havard respectively. Uzoma talked about the application and preparation process. She talked about the need to have a concise resume especially if an applicant does not have so much years of experience. According to her, it is also important that your essay sounds authentic. As for the letter of recommendation, she advised that it is better to have it written by someone who understands your strengths and weaknesses and is able to pass this across. It is also necessary that you, as the applicant, guides them. She recommended having a study group help review your essay and conduct your mock interviews. Mock interviews also prepare you for the main interview in which you have to be honest, clear and demonstrate your knowledge. She concluded by saying that an applicant should not shy away from applying again because sometimes it may not be that your application is not good enough, it may just be that they have already gotten an applicant who is as strong as you are. GBEMI’S LADY IN WAITING AND WHY YOU SHOULD READ IT!!! Yes, you are so right, this is a book review and yes, no spoilers. 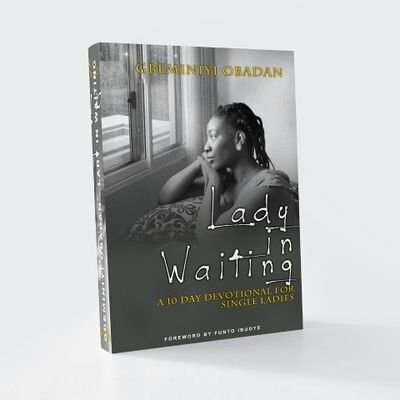 The book Lady in Waiting was written by a wonderful young woman called Gbeminiyi Obadan, who also happens to be a lawyer and blogs at Musingsofachristianchick.com . The book is a ten day devotional for single ladies. One thing I have learnt, and the central theme of this book, is that perfection/fulfillment/contentment can only be found in God, not in finding that Prince Charming or Knight in Shining Armour or Tall Dark and Handsome. God is interested in matters of your heart, and emotions, and he wants to be involved in your relationship as well. Do you think you should wait for your husband? What would you be doing while waiting? Does God really care about what I my feelings? Is God concerned about my relationships? If you have been asking yourselves these questions, this ten day devotional is a starting point. So, what I did was to bring out a quote from each chapter of the devotional, which kind of hits the nail on the head, and they are ten reasons why you should take the next ten days to read this book. Think of yourself as Man2.0, the updated version, not an afterthought by God or a weakling. Let your single life be a training ground for submission as you yield to God’s instruction daily. That is exactly what sin does to man. It gives a false impression of knowledge and makes us believe that we are wise. The third edition of the annual National Tax Debate organized by The Tax Club, University of Lagos, took place on the 22nd and 23rd of September, 2016 at both the Law Annex and the Main Auditorium in the University of Lagos. The theme was, ‘The Tax Trident: Electronic Tax, Nigeria’s Fiscal Reality and Social Control’.This again is a timely effort of The Tax Club which must be commended. What better time to examine the country’s fiscal reality than now? The practicability of electronic collection of taxes is something we may want to explore as a country especially since we would like to be cutting the costs of administration (read here, the National Assembly should start first). We need all the savings we can get. It also cannot be overemphasized that taxation also affects social behavior. As much as these sorts of conversations are welcome, it is also important that we take action. Year after year, policy makers and influential stakeholders in the Nigerian tax system have the opportunity to hear what the average Nigerian youth thinks about certain tax policies. Year after year, enthusiastic tax students and practitioners have a platform to interact, teach and learn, and even mentor and be mentored. It would be very unfortunate if nothing tangible comes out of it. The invite went out to 24 Universities. Each University’s team had to turn in an essay revolving around the reform of the Stamp Duties Act. Out of this 24, only ten schools made it to the debate proper. They are: American University of Nigeria (AUN), University of Benin (UNIBEN), University of Ibadan (UI), University of Nigeria (UNN), University of Abuja (UNIABUJA), University of Ilorin (UNILORIN), Obafemi Awolowo University (OAU), Babcock University (BABCOCK) and the University of Lagos (UNILAG) and Nnamdi Azikwe University. This was AUN’s first appearance at the National Tax Debate. For OAU, BABCOCK and UNIBEN, this was the second appearance. All the other universities have featured in all three editions of the event. OAU had a stellar performance on their first outing. They went home with the prize last year. UNN was the winner of the maiden edition. UNN did not go farther than the semi finals last year and UNILAG came second after being knocked out at the qualifying stage two years ago. After a stellar performance at the maiden edition, LASU (Lagos State University) was MIA last year, and did not enter an appearance this year. One of the highlights of the debate was the Chijioke Uwagbate Orator prize. A sum of #100 000 is usually awarded to the winners. In the two previous years, UNILAG’s Seyi Bioku and Gabriel Aliyu came second, while the winners have been Mr Tola Adebesin of LASU and Miss Igbannugo of UNN in 2014 and 2015 respectively. Sadly, the prize was not available this year. By this time yesterday, I was typing a short story to upload on this blog. Somehow, I didn’t like the story enough to put it up and I didn’t up anything after all. Its been seven days since I last posted on this blog. That’s not the plan… Loool. But that’s not the point of this post. There is just one truth I have found out and you have to read this to the very end to know it. 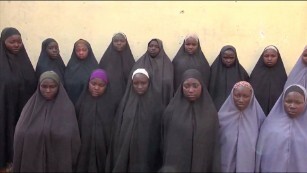 When the Chibok girls went missing two years ago, I wrote this. For most of us, we didn’t know what to expect. Nigerians have been accused of being selectively amnesic. Somehow, contrary to expectations, two years later, we are still having a conversation about them. I am glad that they are alive, at least from the proof of life video on twitter and CNN. Unfortunately, the Nigerian Army is yet to find them in spite of claims that Boko Haram have been technically defeated. It is also irritating that this video has been with the government since mid January, and we are just seeing this now. So this is a little something for them. Drawing tears from our eyes.